2. Use an empty tissue box for your car’s garbage can. It’s stable, tissues and candy wrappers alike can be shoved down into it, you can have one for the front and one for the kids in back, and you can toss it when it’s full! The tissue box is a great idea. Thank you! 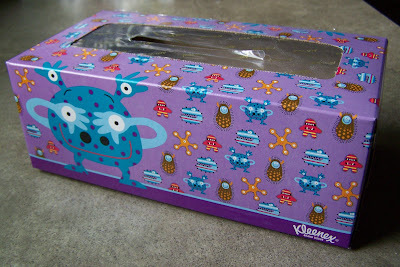 Great idea for the tissue box! I had actually noticed the typo, but felt silly mentioning it. Always better to have it come from a friend, I figure. 🙂 Excellent idea about the tissue box, too. I use it for dryer lint also. It doesn’t fly everywhere!